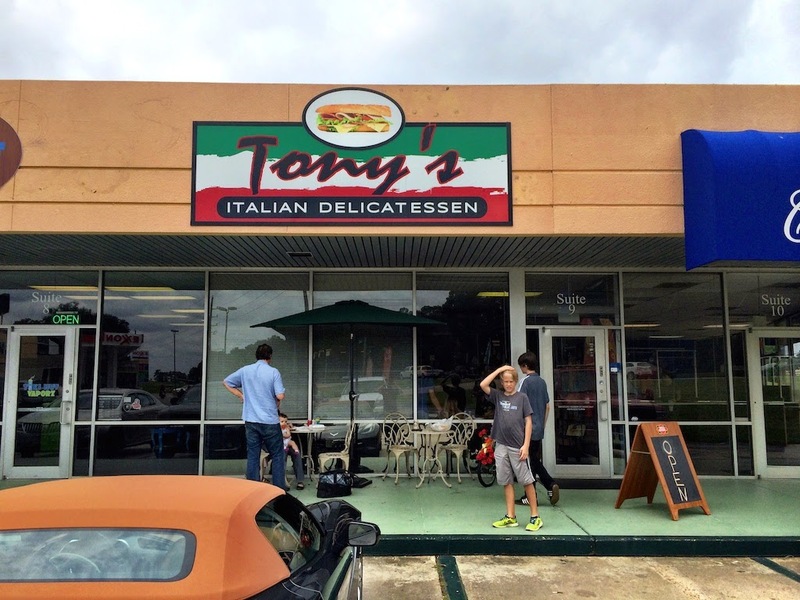 We were excited to hear about new restaurant projects from Johnny Carrabba, a scion of the famed Mandola restaurant family, and founder of one of Houston’s great Italian spots, Carrabba’s. So on a recent weeknight, we met friends before a concert for a meal at Mia’s Table, the new fast casual comfort food concept from Carrabba. Mia’s is named after his daughter, a charming tradition that continues with his other new spot, Grace’s, named after his grandmother. Mia’s is a casual, inviting space, reminiscent of an older (but meticulously maintained) Hill Country home. Patrons order at the counter, and are presented with an eclectic menu of Texas comfort food: Sandwiches, tacos, burgers, and an assortment of fried entrees, from chicken to chicken-fried steak to fried shrimp and snapper. We ordered at the counter from a helpful and friendly teenaged staff member, and were off to find our seats. The sprawling dining room was filled with families and small groups enjoying an early dinner; the organizer of our gathering had reserved a semi-private space in the rear, away from the hustle and bustle. The room had a distinct energy; patrons were enjoying their meals, laughing, and seemed to be in a boisterous mood. Mia’s is not the spot for a quiet, intimate dinner, but it’s a great place to hang out with friends and family. No one will be surprised that we had to sample Mia’s cheeseburger, an interesting architectural diversion from this classic American staple. The de rigeur beef patty, slightly melted cheese, and fresh veggies were placed on a distinctly oval bun – the two patties were essentially side-by-side, instead of stacked. This is an unusual arrangement, and resulted in a lot more bun than we prefer; we were essentially eating two smallish burgers instead of one big one. The patty was cooked medium well and was slightly dry; the veggies were fresh, and the bun had a nice texture but very little flavor. All in all, a solid burger, but not one we’d go out of our way to order again. 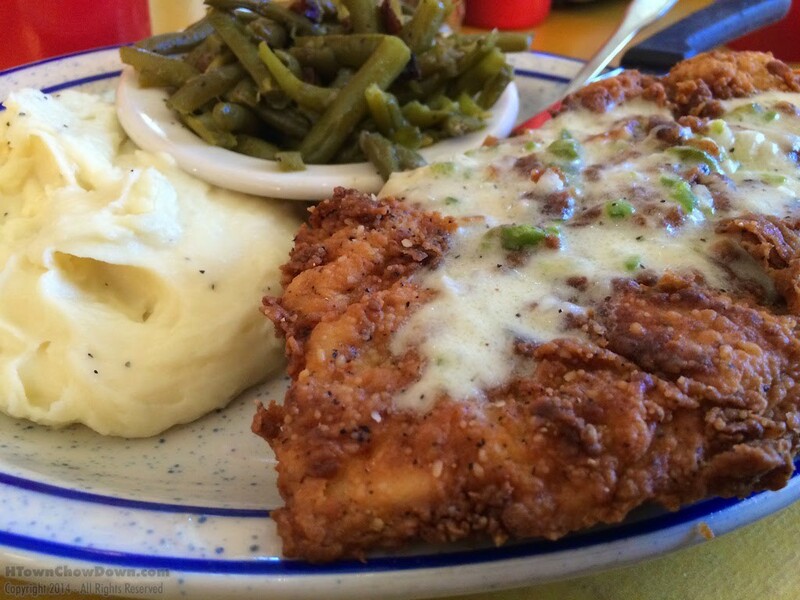 Next up was the Chicken Fried Chicken, a generous chicken breast breaded in the style of a chicken fried steak (the more traditional Southern Fried Chicken is also available) and topped with cream gravy seasoned with bits of jalapeño. This dish was a winner – moist, juicy, well-breaded chicken, with a nice peppery kick, accented by just enough cream gravy and a mild jalapeño burn. Balance was the word that came to mind with the chicken; good balance between the meat and the crust, good balance between the fresh chicken flavor, the creamy gravy, and the spicy counterpoints. Sides were a mixed bag. Mashed potatoes were very good; creamy, smooth, with just enough pepper to be interesting. Green beans were uninspired, limp, and lacking in flavor. All in all, Mia’s is a nice addition to the Kirby restaurant scene. 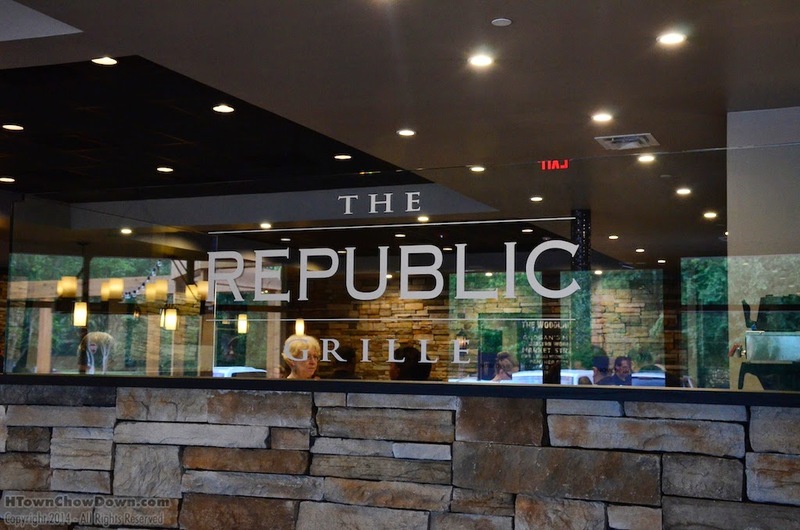 It’s a great spot for families and groups looking for a quick bit of Texas-style comfort food in an upscale but casual setting. This sounds better than Grace's, which I really didn't like at all. 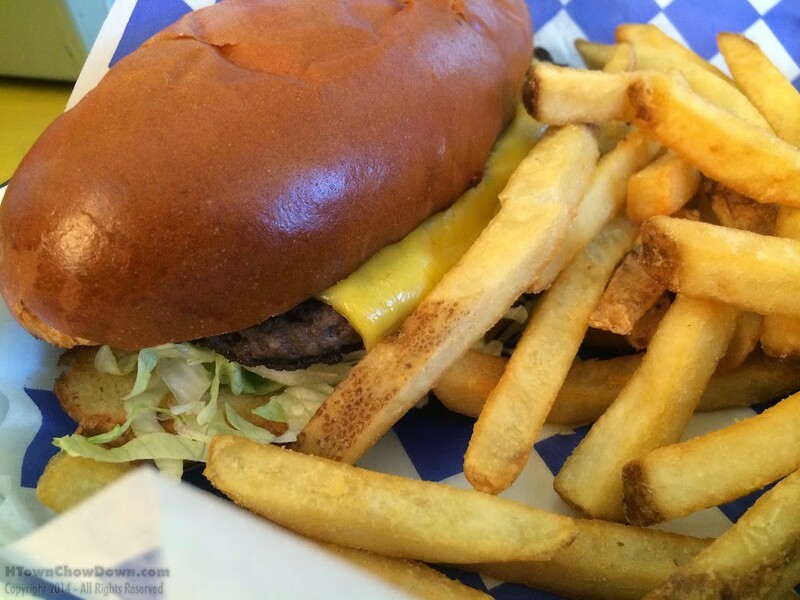 Does Fuddrucker's burger measure up?